Design isn’t just about making an app or a website look good, there are a lot more factors that come into play like UI/UX that can mean the world to the user. 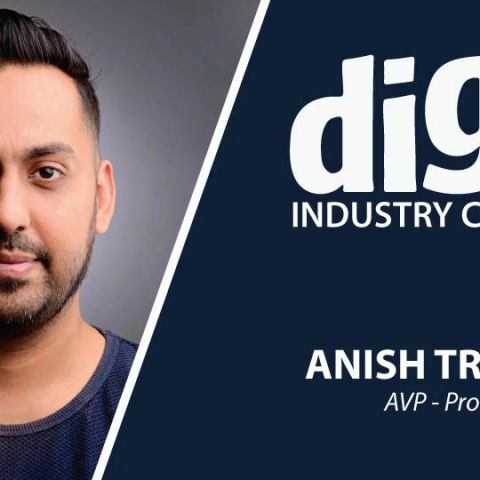 We sit down with Anish Tripathi, AVP Product Design at BookMyShow to get an insight about the thought processes and techniques that designers employ while building apps and websites. Digit: How have your past experiences with Web Chutney, Media.net or any other place you have worked with shaped your overall design philosophy? Anish: I have worked with different companies which were all different in nature - worked with Media.net which is an ad network and Web chutney which was an agency. I’ve also freelanced for a lot of startups like Perk, Ask Laila, and Paper Plane, and I’ve even worked as a consultant with Google as well. One common thing learned from all the places is that whenever you have a user goal, the manner in which you meet the user goal through certain interaction, and how the user experiences your design, can really affect the actual user goal. Not a business goal but the goal for a user to perform a certain task to completion. About eight or nine years ago I’d serviced clients at Web Chutney and luckily BookMyShow (BMS) was one of their clients. That was the first time I interacted with BMS and we designed a logo for them. IT was the first time we interacted and it was a nice experience to gain an understanding into how they ran things. I later moved to the advertising side of things. Native advertising is one major thing that has helped me in the past. At Media.net we had a design team that helped build advertisements for publishers. The biggest challenge here was to optimize those ads for better performance and to get the publishers to make a lot more money just through improving converges, through design and there were these concepts of drafts pattern etc. It helped me gain more insight into what not to do, how to stay away from a certain fad and how to make the consumer’s experience on a publishers’ website more intuitive while improving conversion at the same time. Every publisher I’ve worked with was different with different user flows and task flows. The important thing was keeping the user goals in mind. And largely I always enjoyed working with startups and loved their culture and that has really helped me fit in easily at BMS. The cultural experience and exposure was really beneficial. Also, I’d worked with Ashish Hemrajani, CEO of BookMyShow, previously so that also helped. The important thing was keeping the user goals in mind. And largely I always enjoyed working with startups and loved their work culture and that has really helped me fit in easily at BMS. The cultural experience and exposure really helps. Also having worked with Ashish Hemrajani, CEO of BookMyShow previously also helped. Digit: In the world of Design which are the designers or the idols that you look up to and why? Anish: Back in the days – I don’t think it will be very known right now – there used to be a company named Truadvance.com where they worked on Adobe Flash and other rich multimedia. 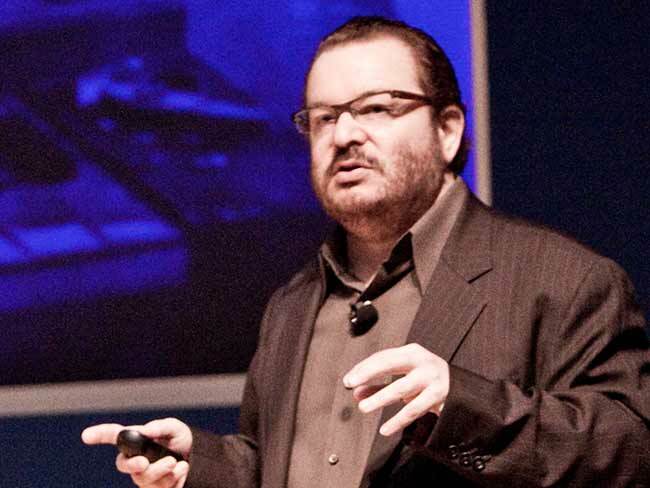 I looked up to them and they had a designer named Jeffrey Zeldman whose work I really admired. Back in the days in India when design wasn’t big, these were a few flagships that took design a bit more seriously and a lot of these things happened way after while it was already known in the west. The core of that comes from semantic approach to design and that means looking at the science behind the design – usability, interaction, how to make the interaction shorter for the user to meet our goals. And the one person who really laid this down properly for me was Jeffrey Zeldman. So I really look up to him. Because in those days there weren’t any user experience design that had detailed principals under it, be it about user design, visual design, and interaction design. India is far away from getting one person who is the jack of all trades, unlike now where you need a designer, front-end developer, back-end developer or an app developer. While in the west the designer knows how to code as well. If you can design and can code too then you are lethal. Digit: What do you look down upon in terms of coding or visual design? Anish: In terms of design, anything that stops me from getting to do what I really want to do as a simple interaction. It can be anything, a bad label, a bad color, a bad interaction or a bad conversational UI, a mix of bunch of elements that throw you off. I used to work at an ad tech company which was an ad network at Media.net and there I learnt that I have to make native ads and so very intrusive ads are something I look down upon. If you notice the BMS website which we have redesigned, it has a lot more ad space inventory and we are utilizing the entire screen space where we put up the posters which you can see on every major section on the homepage, especially, those are direct phase-ads that are put and they aren’t really intrusive. They look like a carousel of events that are going on but they are all sponsored and all paid. The supply in the market deals to meet the field rate is more about those display inventories. All the in-your-face ads and interfaces that are non-conversational are something I look down upon – basically dead interfaces. Digit: There are primarily two schools of thought, one involves going in for a complete redesign in a short period and the other one involves a staggered approached where you keep making minor modifications till you reach a complete redesign in roughly a year’s time. Which school of thought do you follow or do you have a separate belief? 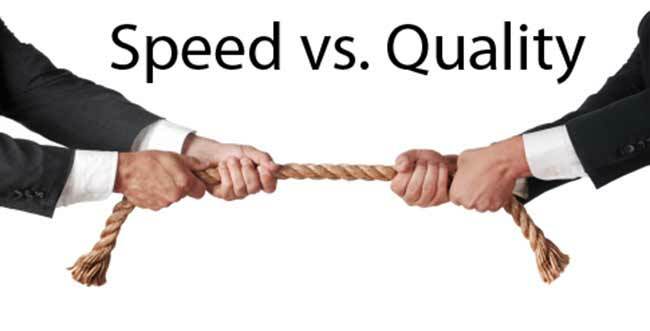 Anish: I go with the first one, also with the incremental one only when the need is vital; here at BMS we do a lot of incremental vital changes. These incremental changes are fine for performance and to add more value to the consumer and for us to make features that meet our goals. Digit: So if you do an overhaul wouldn’t you end up alienating your current user base or at least a significant portion which might go to the competition just because they still retain familiarity. Anish: Actually when we redesign a website we have the same question. Should we change just the overhaul? If you look at BMS we redesigned it, completely overhauled it, by that I mean we rewrote the code, redesigned the way people interacted with it but we identified the one thing that we didn’t change was that we kept the booking flow very linear. We worked on overhauling without any major behavioral change. I agree with some of the designers you have spoken to, I don’t think any designer in right mind would like to stop that behavioral change especially at the scale which we are at, at BMS. I think that would be very dangerous. It was very tricky but we achieved it and transactions have gone up after the redesign. Digit: With regards to the BookMyShow traffic milestone of hitting 30 million users per month, would you say it’s the design or the functionality or a mix of both that has contributed to this milestone. And why? Anish: I think it’s a mix of both. I always strongly believe if you listen to your users through their feedback that they constantly share with us in our “Secret Society” – it helps us incorporate it in our visual design and we keep adding features based on that feedback. I think the visual and the features have equally contributed to the traffic increase and of course a lot of movies that released throughout the year have also contributed to the traffic fluctuation and increase. We also have released coupons that are available for restaurants in and around a particular cinema. Even that has contributed in the traffic increase. Digit: In regards to VR which happens to be the biggest thing happening this year, any plans on integrating VR into your design? Anish: First of all I’m very excited about the whole VR stuff that’s going on. Mark Zuckerberg said that the three-four big things that the company is looking into were IoT, VR and he also mentioned using lasers to send nano crafts into space. So we are excited about VR but we aren’t doing anything immediately, not at the moment. Digit: Could you share some information on your user feedback system? Anish: I learnt one thing in my previous organization, whenever we had to sign up customers or whenever we had an invite only program, you get a lot of people coming to you only because they want to know what’s behind the walled garden. We have a similar feedback system, which I’ve termed as the “Secret Society” just because people want to be a part of it. We have sessions where we interact with customers to gain insight and genuine feedback and in return we provide gift vouchers. We have workshops as well where you get to see some of the new things that we are working on, some of the new interfaces that we want to validate. We normally have designers having 8-9 explorations on each design within the context which can be challenging. So such sessions help us to step out and get a different perspective on it. There are certain features which are live right now which the users have asked for and our designers have come up with an exploration which might have been rejected. Showing them different explorations, getting them actual prototypes that they can interact with, doing a proper movie booking flow and buying a proper ticket are all performed to gain valuable user feedback. We also do a lot of one-on-ones on the phone where we have software equipped with a front camera which analyses what the user is looking at and when they experience an “aha” moment. Tracking, recording and studying their facial expression helps a lot in feedback. I think the biggest finding of such workshops has been the findability of information which has been structured properly for the users to look or help them find what they are looking for. Digit: We have come across instances wherein during the software development cycle psychologists are consulted. Do you involve psychologists as well during the design stage? Anish: When you are working on a UE design, the first step is to do a lot of user research, create personas and try to understand the user’s mind. Which leads to a thin line between UX and the science of cognitive psychology when you try to understand a set of cognitive overload to the user when there are 2-3 elements on the page or if you try to understand intuitively what the user is actually thinking at that point and what they are trying to do. We don’t get down to actually consulting a psychologist and going down to that depth. We stick to few of the principles like cognitive overload. And basic concepts of psychology are sort of embedded in the UE design, from research to interactive design to wire framing to user ability to visual design. It’s all so embedded that we don’t really need a psychologist. Digit: How do you figure out that perfect balance between speed and visual fidelity without compromising the whole user experience? Anish: Most of our device based decisions are taken based on feedback. There are certain devices that aren’t high-performance but should we ignore them? No! Should we have a different experience for them? Yes! We are currently working on a lite version which is basically based upon your data connection and based upon your region. There are a bunch of companies who are assisting us to accomplish this. We experiment as to how they would look like on 2G connections or on a 3G connection in a particular region. I’m even going to Gujarat where our goal is to plant ourselves there and do consumer behavior research and we are very excited for the same. Maybe by the end-of-the-year we will do a proper India tour where we go to every city to complete our research. We are working on delivering solutions based upon the devices where the engagement is high. Digit: How do you separate the black marketers and hoarders from the genuine ticket buyers? Anish: There are certain patterns that we have observed which are indicative of such behaviour. For example, we’ve seen that the frequency of purchasing tickets is very high when the ticket prices are very low and even if there is high demand there are always enough shows. Buying tickets in black happened a lot early in in the era of single screen cinema halls and in my opinion the whole culture of blacking tickets is fading away as it has become very convenient to purchase tickets online or via apps. Recently, we also handled ticketing for the T20 World Cup and we’d introduced a lottery system where you get an OTP from the lottery so when a consumer bought the tickets he has to show an OTP so that negated the whole problem. The system worked well during the World Cup and surprisingly no tickets were blacked. Another thing is that, we were also audited by one of the big auditors. And through the audit, we got to know that the persons who won the lottery tickets were the same people who came to collect the tickets. So I don’t think that is a major problem anymore. Kindly suggest Laptops under Rs. 60,000 that would satisfy needs of a product design student.